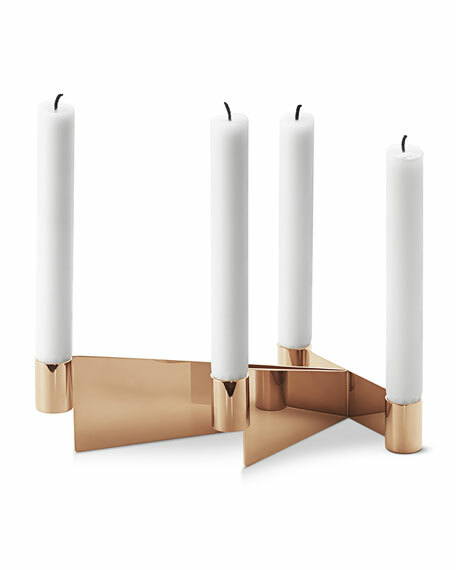 Mirror-polished stainless steel candleholder with brass-colored PVD finish. Holds four candles (not included). 7.5"L x 6"W x 3"T.